Inventioneers is an iOS and Android app made by Swedish company, Filimundus. In this game you can create your own crazy, fun inventions! With the help of the Inventioneers, our tiny helpers with unique characteristics, you can invent fun, creative and often quite weird inventions. A lot of inventions are included in the game, the more you solve the more parts you receive for your own inventions! 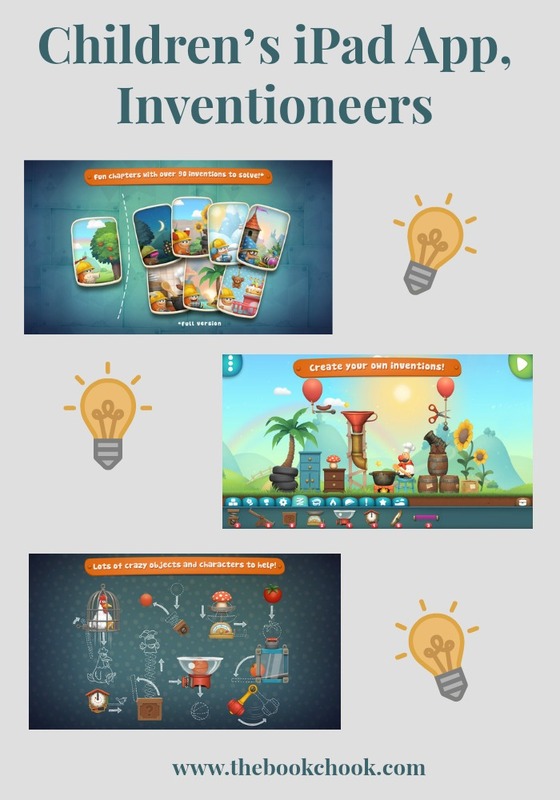 Inventioneers is an outstanding tool for learning about realtime physics and the science behind different features like air, fire, magnetism and jumping bunnies. What you can do with the tool is virtually endless. Invite friends to share their crazy inventions and you can share yours too! If you are a teacher you can set up the whole classroom as a user and share with other classes! I liked the balance between fun and learning. It’s great that this is an app where kids get the chance to think critically, as well as to create solutions to problems. I always appreciate when a developer offers a free version so that customers can try an app out. The free version has one chapter unlocked with 14 inventions, but the full version offers many more chapters, inventions, characters and objects. For schools, it’s great that there’s a feature that encourages a class to share with others. I have to admit that games where there are no guidelines are not for me. But I know kids will relish the opportunity to experiment and will also have an intuitive understanding of what to do. Basically this is a puzzle-type game where you need to help characters by working out how to get them what they want. You are given some tools and need to determine how to position and combine them to achieve your goal. Another feature of the app was my favourite part. You get to create your own inventions! What this really means is you get to set up physics-based scenarios just like the game, only you decide how it will work. There’s a tutorial to help that’s built into the Create part of the game. Inventioneers is easy to navigate and the characters are quirky and artwork colourful. I would recommend it to kids 9+ who like to solve puzzles and can be patient, adjusting things and persevering until their inventions work. Younger kids could certainly engage with it if an adult helped. I'll be adding this app to my list of iPad Puzzle Apps for Kids. Check out my iPad App Reviews on Pinterest, and find more apps and articles via my main Listly page.